What's Best for Your Title Tag? 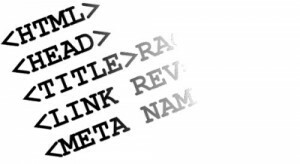 As an seo outsource company, we would know the best practices for creating a good title tag. This being said, we would want to share with you which guidelines we follow in order to create a well-written title tag. You may have encountered an SEO article that says “Keep your title tags within 70 characters.” Do you follow this? Well, it wouldn’t hurt to do this, though it may be good to start anew and experiment. If you think about it, why do you need to keep it at that? See, the first (and not to mention popular) reason is because Google will only display the first 70 characters of your title tag—that’s the main reason why you need to keep your tags within these characters. Lastly, Google will only index title tags within these characters. You would also hear people who would sometimes suggest to keep your title tags shorter than 70 characters. Again, this is because Google will only display the first 70 characters in the SERPs. Longer title tags means that you’re writing them for search engines, and this is good practice. What are the other things that you should do to make your title tags and seo strategies work? Write for your users. Make sure that you meet your audience’s / user’s expectations. Keep in mind that your title tag doesn’t necessarily need to be exactly the way it’ll be in your content, but it has to be somehow similar to your content, to make your users feel that they’ve found exactly what they’re looking for. Also, make sure that your keywords are somewhere in the forefront of the title tags. Though it is best that you put it somewhere in the first position, not necessarily the first few words of your tags. Seoreseller.com is known to give the best SEO service. That being said, we follow these guidelines in order for us to deliver best results to our clients. Our products isn’t only limited to SEO reseller, so visit www.seoreseller.com to learn more of the services that we offer.